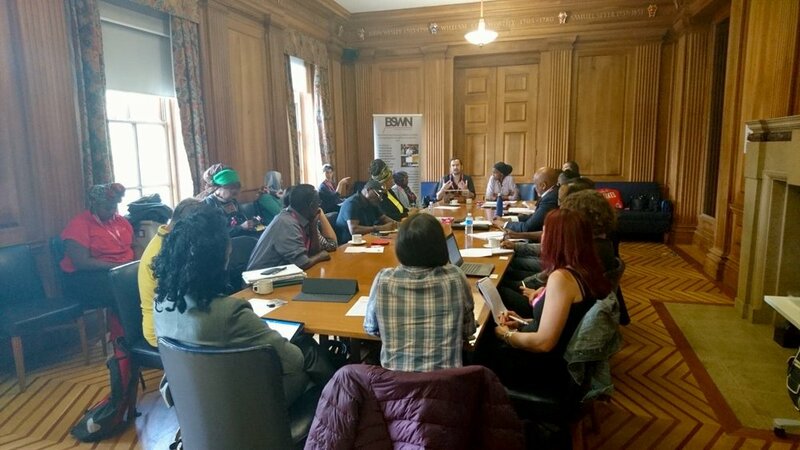 On 17th April, BSWN organised a BAME Sector Roundtable meeting at the City Hall, in order to invite and hear from local BAME sector representatives, local active members of community, and business and charitable organisations. To find out more about this initial meeting, please see our discussion summary here. Following the success of this meeting, BSWN invited the participants to attend a second meeting in order to share some findings from the BAME Sector Review survey that many in attendance participated in. The meeting was co-hosted by Councillor Carole Johnson and BSWN’s Director Sado Jirde, and was attended by Power to Change representatives Bonnie Hewson and Danielle Cohen, as well as by the majority of BAME social entrepreneurs who participated in the research. Both the survey and the attendees confirmed that the BAME sector would benefit greatly from the building of new partnerships and collaboration. The reputation, trust and social networks built over decades are already key assets of the organisations within the sector. However, further collaboration and partnerships outside of it could help achieve greater sustainability in the community. The BAME sector has proven to be strong in terms of creativity, dedication, knowledge, resilience and self-reliance. The meeting attendees agreed that at the core of the BAME sector are the people themselves. However, there is further potential to be explored and talent to be unlocked through the provision of new learning opportunities. In particular, the survey showed that the organisations would benefit from technical business development opportunities, such as investment readiness training, and strategic marketing workshops. The lack of funding or capacity to apply for funding was a recurrent theme in both roundtable meetings. Many participants have expressed difficulties in building relationships with funders and ensuring economic sustainability in the long run due to obscure networking environments and austerity. In this sense, creating new and more inclusive opportunities for connection and publicity would allow BAME entrepreneurs to widen their access to funding. The discussion further centred around themes such as the identification and recognition of obstacles and barriers (e.g. systemic racism and the complexity of collaboration dynamics) to possible solutions such as the possibility of transitioning into more economically sustainable forms of enterprises or the necessary planning for strategic use of resources in the community. Older Post04/05/2018 Civil Society Meeting with the United Nations Special Rapporteur on contemporary forms of racism, racial discrimination, xenophobia and related intolerance.